Nice is a perfect mix between a French and an Italian city: with big squares, broad walkways and long beaches along the Mediterranean, you can feel the typical and unique atmosphere of the Côte d’Azur. 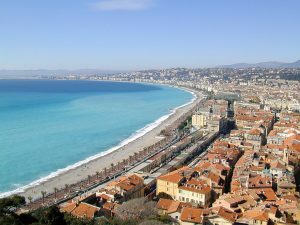 In Nice, you will be welcomed by the breathtaking Promenade des Anglais, a four-mile-long seafront promenade where you can stroll from the Hôtel Negresco to Castle Hill. During the walk, you can enjoy beautiful sandy beaches, where you can play sports or just relax. 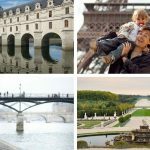 Follow the impressive Bay of Angels and reach Albert 1st Park: there, you can find the private gardens of the Belgian King and, close to the park, you will find the Paillon, Nice’s main river. 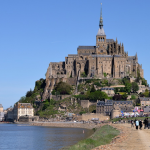 The Promenade ends at Castel Hill, where you can experience a breathtaking view of the town, from the Alps down to the sea. 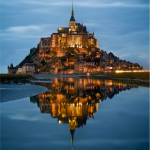 Within the town, you can visit many monuments and some important museums. 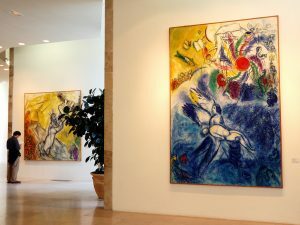 The Chagall Museum is, without a doubt, the most relevant museum in the city: you can find Chagall’s largest collection, together with some of his famous paintings inspired by the Bible. In Nice, you can also visit the small Museum Matisse, with a collection which highlights the style and the many materials used by the artist and shaped by the landscapes of Nice and other artists such as Picasso and Renoir. 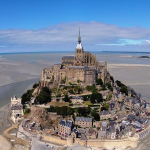 You can also spend some time in the Modern and Contemporary Art Museum, which focuses on Pop Art and New Realism (from the 60s to the 70s) and admire the unusual Russian Cathedral with its domes and its exotic architecture. During your stay in Nice, you can choose among some different kinds of trip: a bus tour (€21) which passes by all the main sights; a Walking tour (€12), both in English and French or, if you prefer living the city in your own way, you can also go for a Self-guided tour around the main sites! You can relax and spend your free time in Cours Saleya and Rue Masséna, where you can find all the most beautiful walks. 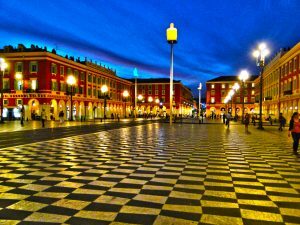 Later, have dinner and some fun in Vieux Nice, where you can taste delicious local food and try Nice’s nightlife in Place du Palais, Rue de ls Préfecture and Place Rossetti, the “most-Italian” place in town. Remember that many museum are closed on Tuesdays and that, if you love shopping, the chicest street is the Golden Square between Rue Karr, Rue de la Liberté and Rue du Paradis.